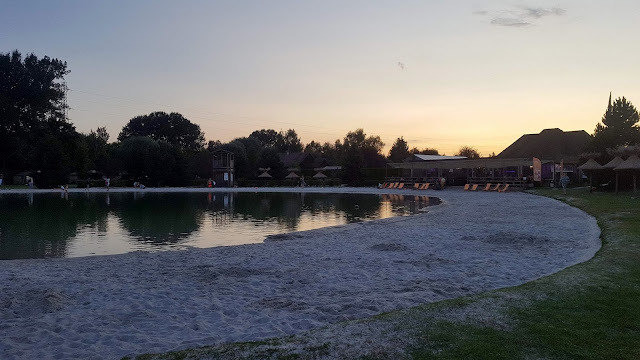 Last week we spent a wonderful few days at La Croix du Vieux Pont with Al Fresco Holidays and we are already missing our relaxing evenings sat out on the decking by our accommodation. 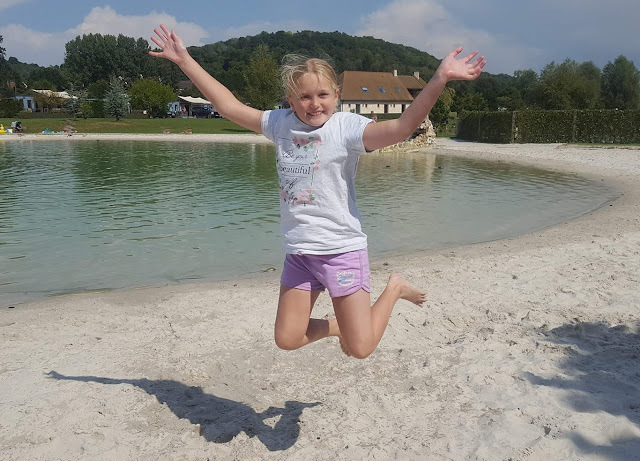 Whether you are looking for a base to explore Paris & the local area, somewhere within easy reach of Disneyland Paris, or simply a destination that has so many activities on offer, that you need never leave the site, then La Croix du Vieux Pont ticks all the boxes for the perfect family holiday. We travel around so much, but have never self driven to France before, usually opting for the fun of flying instead. 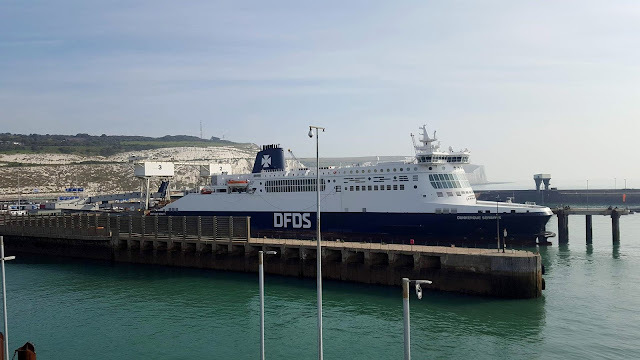 It has been something that we have wanted to try for a while though and after spotting a great deal on Dover to Calais ferry crossings, we started to look at our options for an end of summer trip to France. 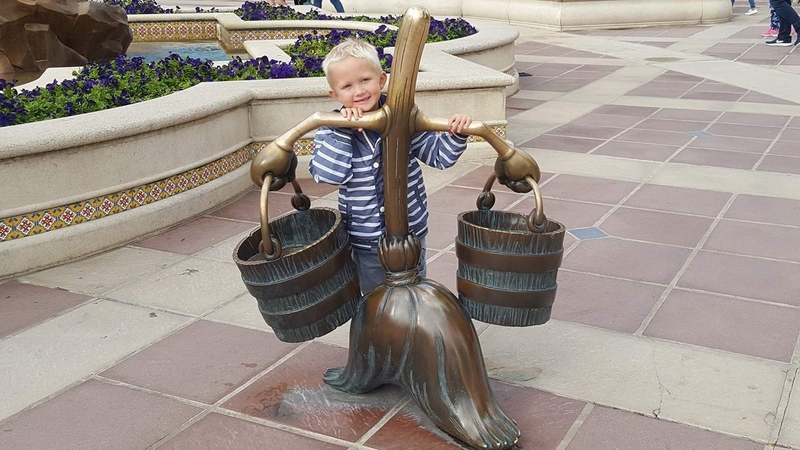 With Riley only being 4, he is still at the beautiful age of believing in magic and has a love for Disney Characters such as Mickey Mouse and the Lion King. Therefore I wanted to find a holiday park that was in an easy driving distance to Disneyland Paris. 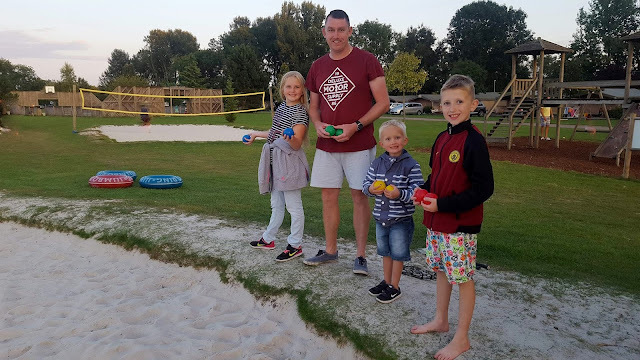 My husband and I also wanted to find somewhere that offered plenty of activities on site to keep the children busy, as well as somewhere that had a kids club, so that us parents could have the opportunity to relax too. 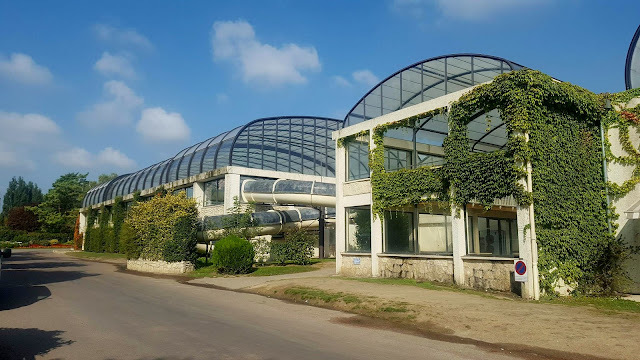 As we had decided on a location near to Paris, we had a look at three Al Fresco parks that were all within a 2 hour drive to the city. When we came across La Croix du Vieux Pont, it was an easy decision to make and so we excitedly booked our stay. Al Fresco Holidays specialise in family mobile home holidays throughout Europe, with some fantastic family friendly holiday parks on offer. There is a wide range of different parks on their website, that offer some wonderful facilities, in a great choice of locations. 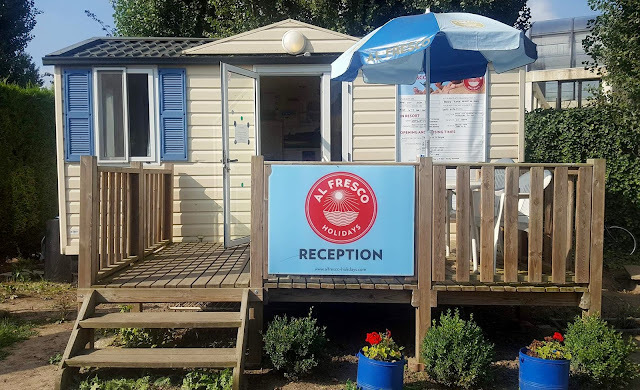 Al Fresco Holidays have recognised that everyone looks for something different in their holidays and therefore they offer a selection of different sized parks such as large and lively, small and friendly, authentic and value, as well as midsize and sociable. This means that you can be sure of finding a holiday park that suits your needs and requirements. They offer a variety of mobile home options, which are all well equipped, comfortable and modern. The mobile homes are a great idea for larger families as some of the mobile homes can accommodate up to 8 people, making them extremely cost effective. 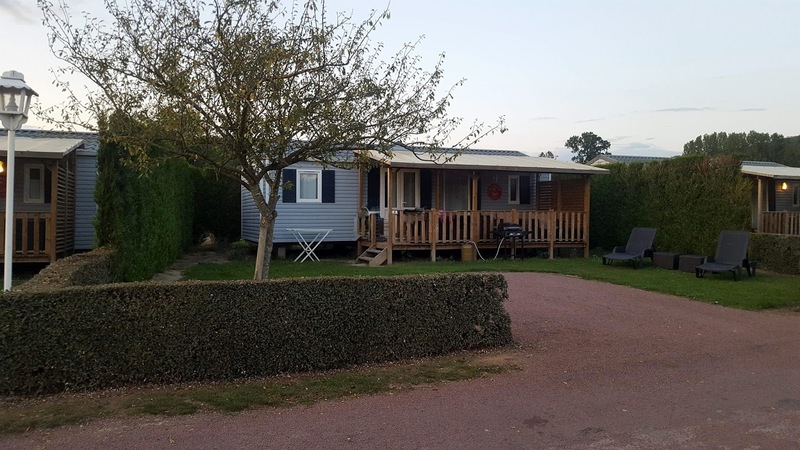 They offer more space than just an individual hotel room and some of the holiday homes also offer decking, outdoor seating and a barbecue, which helps you to make the most of the sunshine too! The website makes it easy to find a destination or park that suits you, by using the search function and then refining the results to suit your particular needs and requirements. You can make selections such as budget, being near to the beach, kids club facilities and dining choices to name a few. There are also a variety of options as to how you wish to travel with flights, self drive, the ferry or Eurotunnel all being something to consider. If you cannot decide which option would be best for you, then Al Fresco representatives are always happy to assist and provide their recommendations and help. I find the Al Fresco website really easy to use and navigate. I think it is well organised and it is easy to search for holiday parks based on location. You can also search for the best deals and offers on their whole range of parks, as well as view comprehensive information on the choice of holiday homes available. The design of the website is sleek and modern, with no over complicated graphics. It's simple design makes it easy to see everything clearly, without the need to search through endless lists or contents pages. My favourite thing about the website, is the amount of information it provides about each park. There are images, videos and reviews to help you obtain a thorough understanding of each park, which helps you to make an informed choice. The booking process is very simple and literally takes a few minutes to get your family holiday booked. You can pay a low deposit, which allows you to pay your holiday off at your own convenience, so there is no need to worry about having to pay for everything all in one go. 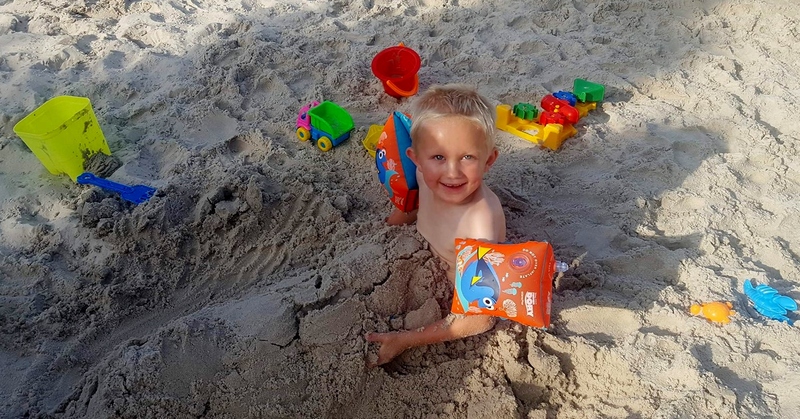 Once you have selected your chosen holiday park, there are a range of optional extras that you can also add to your booking such as air conditioning, linen packs, baby packs & toddler packs. These packs are a great idea and can cut down the amount of luggage that you need to take with you, which is very handy if you are restricted to a particular suitcase weight on airlines. For example the baby pack contains a travel cot, high chair, baby bath, socket covers and a baby gate, making your holiday home, not only comfortable, but safe too! During the booking process you can also add an equipment damage waiver, which covers you should there be any accidental damage during your stay. As anyone with children knows, accidents can happen at anytime, so I personally always take this out, so that I know we are covered in the event of any mishaps. The charge usually equates to just £2 a day, however if you choose not to take out the equipment damage waiver, then you will be required to leave a deposit of £200 on arrival. There isn't much public transport available in the area where the park is based and it is approximately one hour and twenty minutes away from Paris. It is nestled within the french countryside, in the lovely village of Vic-Sur-Aisne. You could fly into one of the Paris airports and hire a car or get a taxi, but I believe that both of these would be expensive options, so my personal opinion would be to catch the ferry or go via the Eurotunnel to France in your own vehicle and drive. There are a few options for this as you could travel from Hull to Zeebrugge, Dover to Dunkirk, or Dover to Calais. The latter two are short ferry crossings which take around 90 minutes, with the Hull ferry likely to be more expensive due to being an overnight sailing. The Eurotunnel option is the quickest route with crossing times of roughly half an hour. We chose to drive from North Wales to Dover through the night and then got an early ferry crossing from Dover to Calais with DFDS. 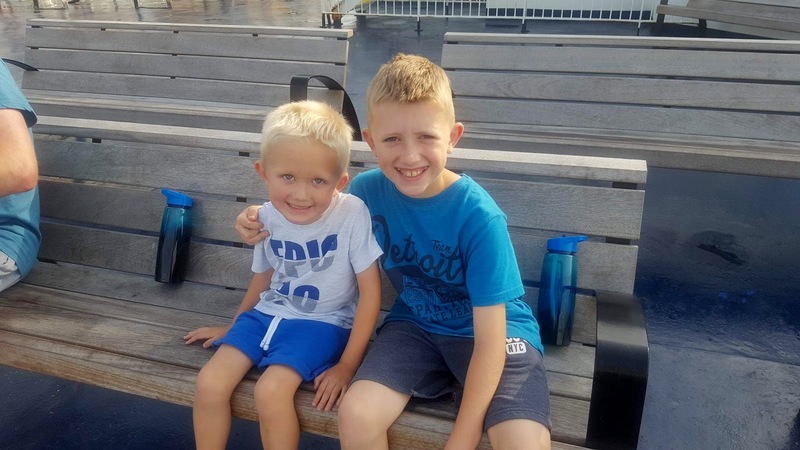 We chose this option so that we had a nice break between the drive and that it would give us a good amount of time to stretch our legs, enjoy the fresh sea air and grab a bite to eat and a drink onboard. We found the check in and boarding process at the port really simple and with no delays, we set off on time across the English Channel. 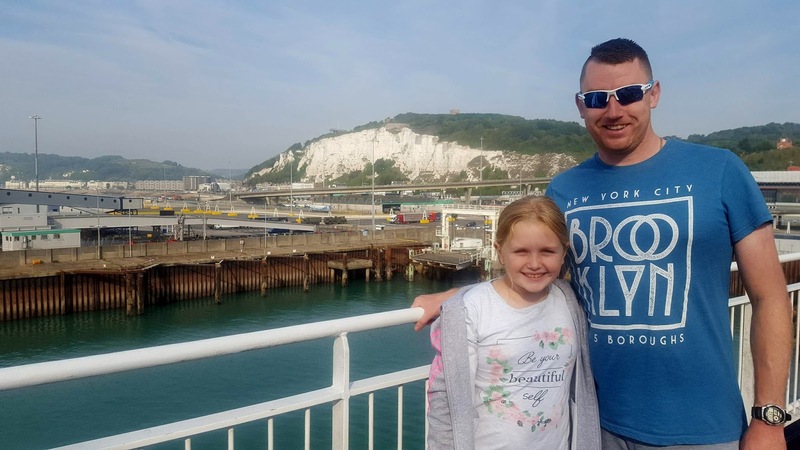 On arrival in Calais, the disembarkation process was just as easy and we simply drove straight off the boat and out of the Calais Port onto the French motorway. The Sat Nav had given us a journey time of approximately 2 hours and 20 minutes, however I had done some research beforehand and read reviews from previous guests, who had recommended staying on the A26 until either junction 10 or 11. The Sat Nav kept trying to pull us off the motorway so we ended up ignoring this until we exited at junction 11. There are a few important things to remember when planning your road trip in France and it is important to consider such things as tolls, speed limits (remember these are in kmph not mph), the compulsory car safety kit and of course remembering to drive on the RIGHT hand side of the road. I initially thought that this would be quite confusing being on the opposite side of the road from what we are used to, however it was actually really easy. The roads had barely any traffic on them and we didn't come across a single traffic jam. Everywhere is well signposted and there were plenty of rest stops and petrol stations on our journey. We made a couple of quick stops on the way, firstly to top up with fuel and secondly just to stretch our legs. We were on the motorway for over 100 miles making it a really easy straight route. The last half an hour of our journey was a little busier and involved numerous roundabouts, but again it was all relatively simple. The campsite is well signposted from the road and it would be hard to miss the turning. We went to the main reception firstly who advised us that as we were early, we could park in the main car park and enjoy the facilities prior to checking in at 4pm. They provided us with directions to the Al Fresco reception and also told us briefly where we could go for a drink or a swim. We had taken the children's scooters with us, so we parked up, got the scooters out and went for a quick exploration of the park. 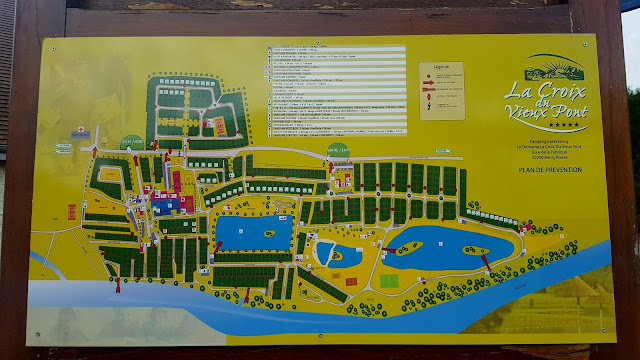 It immediately became apparent just how large the park was, there was so much to see and do, so it wasn't long before the kids were excited about what we could do during our stay. We had a quick look around all the facilities and took a walk up to the lakeside beach, where we stopped to enjoy a drink. When it was time for our Al Fresco experience to begin, my daughter and I went to the Al Fresco reception, where we were greeted by Nich, a lovely young gentleman who made us feel very welcome. He gave me some information about the Al Fresco Holidays kids clubs, activities to do in the area and invited me to ask any questions that I had regarding our stay. I provided him with a cheque for £50 to cover our housekeeping deposit, which is returned to you at the end of your stay providing that you have left the accommodation as you found it. A cheque is the best way to do this and is Al Fresco's preferred method too, as this does not affect your available funds by having to leave cash. Once I had signed the housekeeping deposit form, we made our way over to our Vivaldi accommodation. 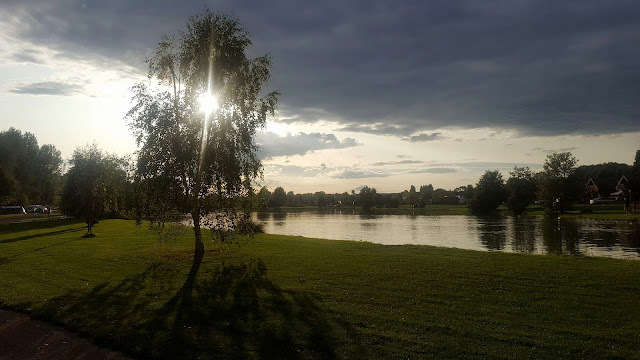 We had only had a brief look around the mobile home at this point as the sun was shining brightly and the kids wanted to have a swim, so we quickly unloaded the car, before heading back over to the lakeside beach where we spent a good couple of hours sunbathing and swimming in the sunshine. Our first impressions of our Al Fresco holiday were great and we couldn't wait to enjoy everything that was on offer. We stayed in a Vivaldi 3 bedroomed mobile home, which was very spacious and clean. It had one double room and two twin rooms meaning that we all had our own space. The main living area was open plan and consisted of the lounge, dining room and kitchen. There was plenty of room for all of us and we never felt too crammed in. The space continued outside too, where there was a lovely large decking area that had an outdoor table, a parasol, six chairs & two recliners, which was perfect for some Al Fresco dining. It was a lovely space to relax outside whilst the children played. There was also a nice grassed area, along with a space to park the car right outside. The kitchen contained everything we needed for our self catering break, with a kettle, pots & pans, utensils, microwave & dinnerware. There was also a large fridge freezer that had plenty of room for all our food and the all important ice creams and lollies for the kids. There was a separate bathroom and toilet, which I always prefer as being a large family it can cause problems in the morning if someone is in the shower whilst someone else needs the loo. The shower was a nice size and there was a large sink area and cupboard next to it, so there was plenty of space to store your belongings. There was also a shelving area opposite the sink, so there was enough storage for all our toiletries. The bedrooms were very comfortable. The double room had a sliding wardrobe, bedside units, a mirror with shelf, along with plenty of lighting. The twin bedrooms also had wardrobe units and the mattresses in all of the rooms were comfy and offered a good nights sleep. The dining table was ideal to enjoy our breakfast together in the mornings. There were only 4 seats set at the table, however we found that there were also two spare chairs in one of the cupboards which meant that there was enough seating for all of us. Overall we were very pleased with our accommodation. It was comfortable, spacious and gave us everything we needed for our stay, so we were more than happy with it. There were also newer models located opposite the beach which looked beautiful in their own little plot and a higher quality of outdoor furniture. Although we were very pleased with our Vivaldi accommodation, we would definitely consider one of the new lounge models as an alternative in the future. Well there is certainly no chance of your children getting bored at this holiday park. There is so much to see and do, that we didn't manage to even do half of it during our stay. From swimming pools to bouncy castles, mini golf to kids clubs, parks to fishing, this site literally has it all! Firstly, there are several swimming pools, which are both indoor and outdoors. The site has a long season and the weather can be very similar to British weather, in that it can be glorious sunshine one day, then cold and rainy the next. Therefore having the choice of both indoor and outdoor pools, means that there is always swimming available whatever the weather. The swimming complex features a lazy river ride, water slides, a children's splash zone, separate children's pool and jacuzzis. The clever aspect of the indoor pools are that if the sunshine comes out in abundance, then the roof can also be retracted. There were plenty of sun loungers available and we had no issue in securing a couple near the children's pool on each day of our stay. 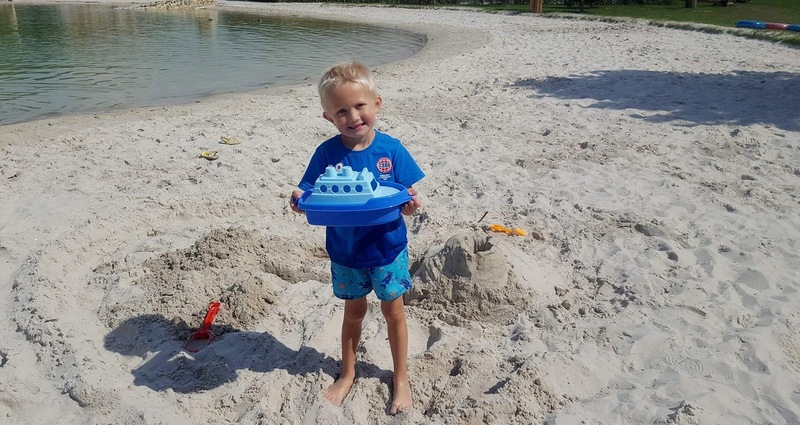 My children's favourite swimming pool though, was the artificial lake, that was surrounded by a beautiful sandy beach, which Riley absolutely loved. There was plenty of space and Riley was really happy sitting on the beach building sand castles, mountains and digging holes. You were allowed inflatables in this pool and so the kids really enjoyed being able to play and relax on their inflatable crocodiles and rubber rings! The grass area next to lake provided a lovely place to lay your towels and sunbathe, whilst still being able to supervise from the shores. The lake side beach bar also meant that there was somewhere close by to grab some refreshments, though on most days we took our own food and drink with us in a cooler bag, which seemed to be a popular idea with a lot of guests. Next to the swimming lake, was also a large children's park, a beach volleyball court and a mini golf course. 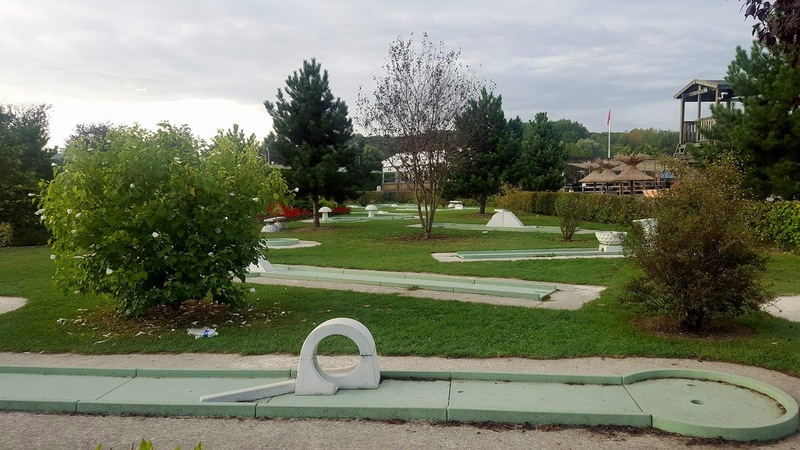 The mini golf carries a small charge to play as well as needing a deposit to use the clubs and balls. This is minimal though and we found all the activities to be very reasonably priced. Adjacent to the swimming lake, were two fishing lakes on either side. The first one was also used for watersports which included paddle boarding, kayaking and pedalos. Fishing seemed to be a popular activity and every day during our stay there were numerous anglers trying their best to catch some fish. My son Ben became quite fascinated by this and enjoyed making friends on the lake side whilst watching the fish being reeled in. Some of them were absolutely huge, which Ben was amazed by. You do need to purchase a licence to fish in the lake and the costs vary dependent on the duration of your licence & whether you are a child or adult. We found that this lake seemed to be more popular for fishing that the other lake which was located towards to the top end of the site. I found this surprising, as I thought that the water activities would disturb the fish, but there seemed to be no problems catching a bite on the line. The kids club was a great facility to have, with numerous activities taking place for different age groups each day. We only used the kids club once, despite initially planning to use it every day, purely because there was just so much to do on site, so we ended up doing a lot of family activities together instead. 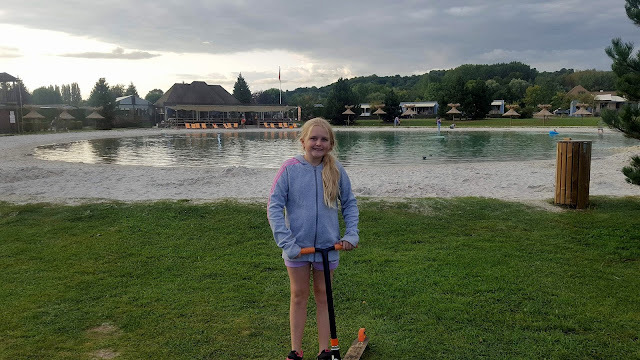 Next to the pool complex, was also a laser quest, bowling alley and an indoor soft play area, which again provided plenty of opportunities for indoor fun should the weather be poor. In addition to the indoor activities, there is also bouncy castles, trampolines, bungee trampolines, pedalos, kayaks and go karts outdoors, therefore providing plenty of entertainment to see you through the day. All of these carried an additional charge, however you can purchase a leisure card that can be used for some of the activities on site. These are great value and offer some fabulous savings. For example you can buy a leisure card for 40 euros which gives you 70 euros to spend on activities. All the staff we came across on the site, were really lovely. The Al Fresco team are an absolute credit to the company and we were so impressed with their friendly hardworking attitude. 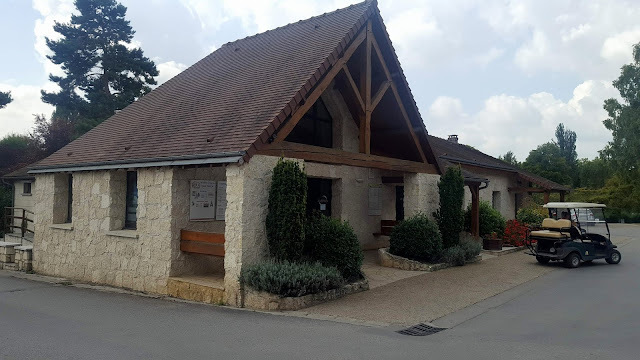 Nothing seemed too much trouble, and the same can be said about the La Croix du Vieux Pont staff who were always walking round with a smile. On one occasion the manager of the site was driving around throwing prizes to the kids and Ben bagged himself a brand new bright green rubber ring. This retailed at 12 euros in the shop, so Ben was very pleased with his bonus gift! For convenience there is a shop on site, as well as a bakery. We purchased fresh croissants and baguettes from here every morning and the queue was always out the door. It was worth the short wait each morning though as everything we purchased from the bakery was delicious. 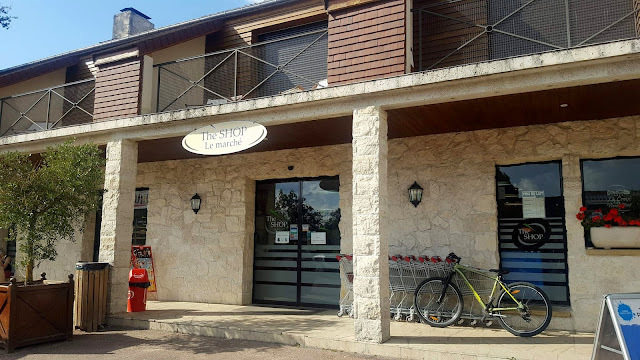 The prices were slightly higher than the supermarket in the village, however they tasted much nicer and it was ideal to not have to drive down the road and just simply walk to the bakery on site. The site shop offered a good selection of food products and drinks and the prices were reasonable, though some things such as snacks & chocolate bars etc, were a little on the expensive side. Near the swimming pool and sports complex there was also a gift shop where you could purchase your inflatables, toys or gifts to take home with you. 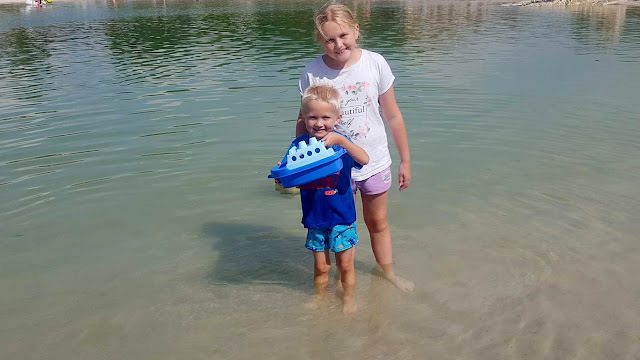 Riley bought a large plastic boat for 6 euros which he played with every day of our stay in the swimming lake. Towards the far end of the site, there was an outdoor adventure company called Tower Pursuits who ran activities on a daily basis that included a climbing wall, abseiling, trapeze & zip wire. The sessions get booked up quite quickly, so it is a good idea to pop over on arrival day and get booked in for any activities you want to try. In the evening we enjoyed taking a stroll around the whole site. It was a lovely walk in the evening just as the sun set and the lake lit up beautifully. 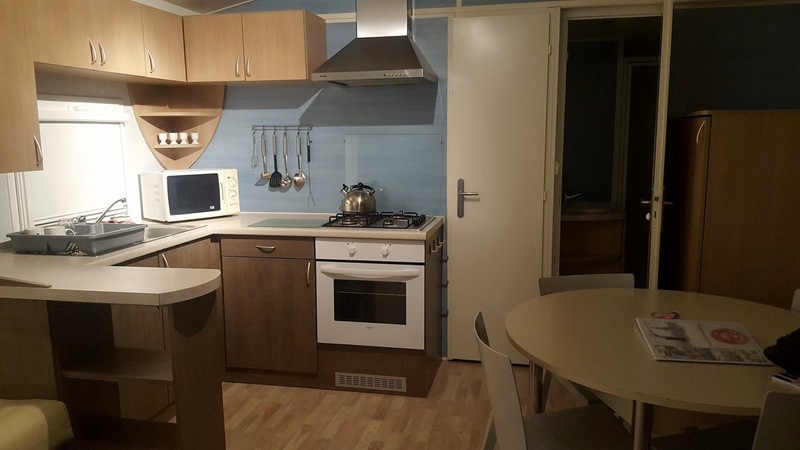 As we had planned ahead for self catering in our accommodation, we had no need to dine out during our stay, however there were plenty of options available had we wanted to. 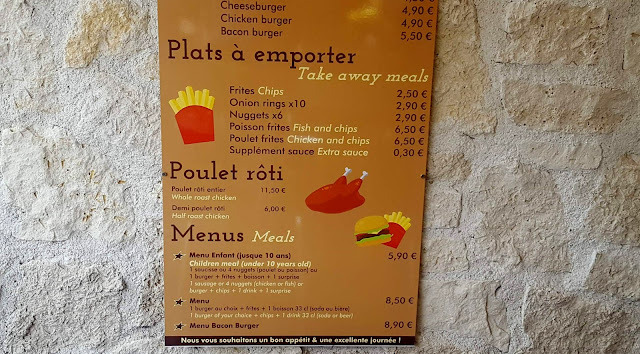 Berny Burger offers an evening takeaway service where there is a wide range of fast food choices available for purchase. The takeaway looked very clean and well presented and there were also some tables and chairs outside, should you wish to dine out instead of returning back to your accommodation with the food. For a more formal dining experience, the Brasserie Macao was a very popular choice. This appeared to be fully booked on most nights, with people often queuing outside waiting for a table. I have heard nothing but positive reviews from other guests regarding this restaurant and the dining area looked absolutely lovely. The menu was very extensive and had something to suit all tastes. Whenever I walked past, it seemed such a lovely atmosphere and you could always see the staff working hard throughout the restaurant. The smell of the food was absolutely divine and the few meals that I saw being carried out, looked extremely appetising. 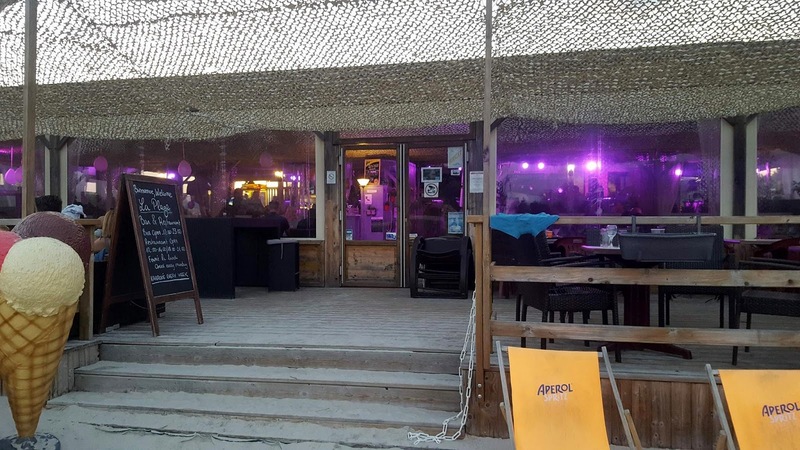 Another option was the La Plage Beach Bar which offered a more refined menu, as well as a vast choice of drinks and cocktails. The setting of the La Plage Beach Bar was very idyllic and overlooked the lake and beach. 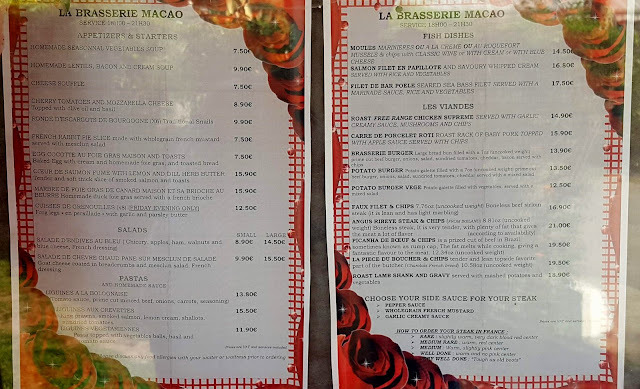 If you fancied venturing off site for something to eat, then the local restaurant Chez Micheline comes highly recommended. Again this can get booked up extremely quickly and quite far in advance in peak season. It is within walking distance from the campsite, so I would recommend either calling to book a table or taking a walk down on the first day of your stay to make a reservation. Bar Summer located near the main pool complex was a bustling place in the evening, with plenty of tables both inside and out for guests. Entertainment was provided in the evening and this varied on a nightly basis. Some evenings it was a children's disco and others there would be live entertainment such as a band. The entertainment for each day would be displayed on a board outside the bar, so it was easy to check what was on during your stay. Entertainment is of course seasonal and so could be quite limited if you visit in off peak times. Our favourite place to visit in the evening after our walk, would be the La Plage Beach Bar. This was in a lovely setting and entertainment during our stay included a karaoke night and a fire dance show. The fire dance show took place on what was a beautiful sunny evening and so with the lake still being warm, we all watched the show from our inflatables in the pool. If you did decide to leave the site to explore, then there is plenty to do in the area. 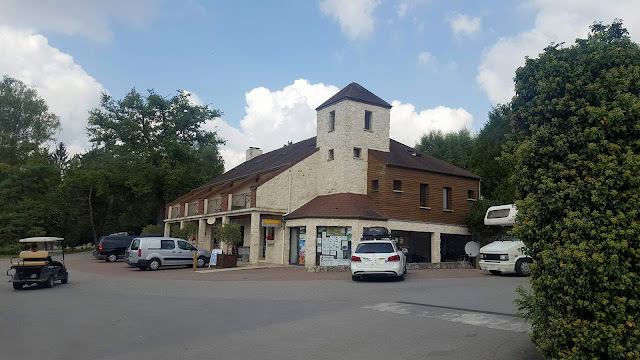 The local village of Vic-Sur-Aisne is very picturesque and holds a regular market day which during our visit was on a Wednesday. There are also numerous other markets that take place on different weekdays in neighbouring towns such as Soissons and Chauny. The stunning Chateau de Pierrefonds is less than a 30 minute drive away and at only 8 euros admission (under 26s FREE) it makes it the perfect low cost family day out. It is a stunning architectural design and well worth the short journey to visit. There is plenty of free parking available in the village and then it is just a short walk to the entrance to the Chateau. If you want to travel slightly further afield, then the theme parks of Disneyland Paris and Parc Asterix are both less than 90 minutes away. 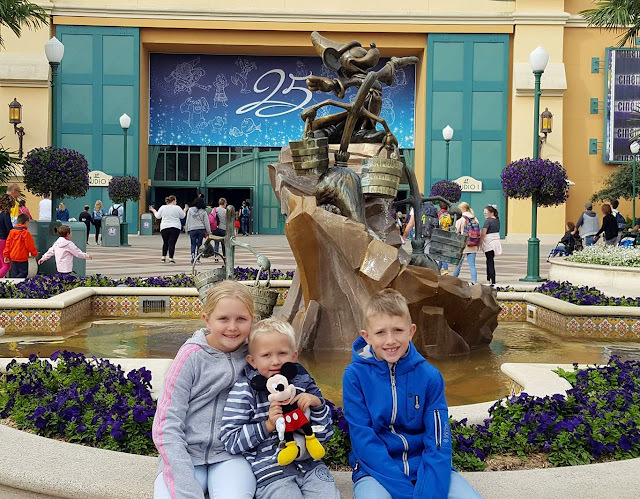 We drove to Disneyland Paris on one day of our stay and found it to be a really easy drive. Just remember to take some change for the tolls and don't forget to top up your fuel, as petrol stations seemed quite far apart once we had left the main motorway. 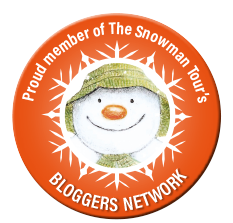 The site also has a double decker bus that runs trips to Disneyland Paris, though travel days vary throughout the season. 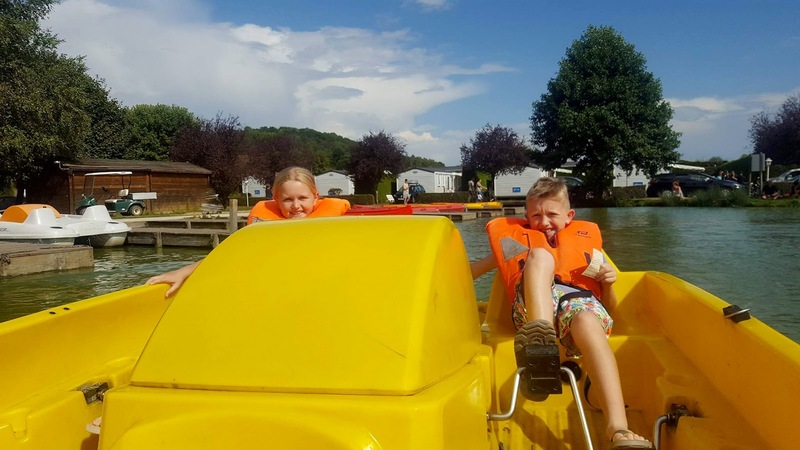 This is a great option to have if you don't want the worry of driving and at the time of our stay it cost 17 euros per adult and 14 euros for a child aged 2 to 11. An infant between 0-2 years cost 10 euros to travel. We felt that this was a good price for a small family, but it worked out more cost effective for us to drive. Paris itself is about 1 hour 20 minutes away, though the traffic can be pretty hectic. One alternative we looked at was getting the train from one of the nearby towns to the Gare du Nord station in Paris. This seemed like quite a cost effective way of travelling into the city centre, but due to being so busy participating in on site activities, we just didn't get the chance to give it a go. 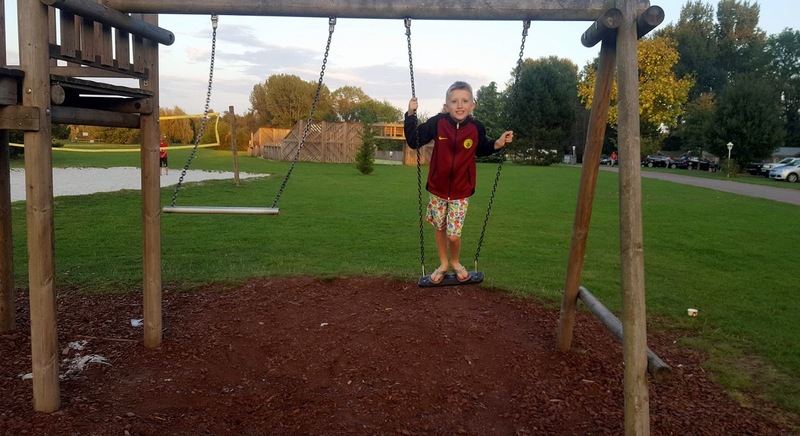 Just like the Disneyland Paris trips, the site also runs a bus service a couple of days a week, which takes you into Paris and costs 23 euros per adult, 17 euros a child and 11 euros for an infant. We have stayed with Al Fresco Holidays on four occasions now and have never been disappointed. Everything from the moment we booked, til the moment we checked out, was absolutely perfect and I cannot thank Al Fresco enough, for yet another wonderful family experience. We received plenty of information prior to our stay, which helped us to feel excited and prepared for our holiday. I had a couple of questions prior to our stay and made use of the Al Fresco Holidays online chat service that is available on their website. The customer advisor was extremely helpful and although they did not know the answer to one of my questions, they offered to contact one of their representatives on the park and emailed me a couple of hours later with the answer. What fantastic customer service! The on site representatives were amazing and Al Fresco Holidays should be extremely proud of what a great team they have. On the last night of our stay, one of the representatives came to check us out and return our housekeeping deposit as we were setting off very early in the morning for the return journey home. We ended up having an hour long chat with the gentleman who was one of the loveliest people you could wish to meet. We weren't made to feel like customers, but instead we were made to feel as if we were staying with friends, which I think is a wonderful attribute to have. Unfortunately I cannot remember this gentlemans name, but his wife Diane also worked on site, who was equally as lovely. The Al Fresco reception was also a welcoming place, with plenty of information on what to see, where to go and opening times of the facilities on the park. There was a selection of board games that you could sign out and borrow as well as some books and beach toys. I thought that this was a great idea as it is nice to have a family board game to play in the evening. Overall we had yet another fantastic experience with Al Fresco Holidays and will definitely be using them again in 2018! 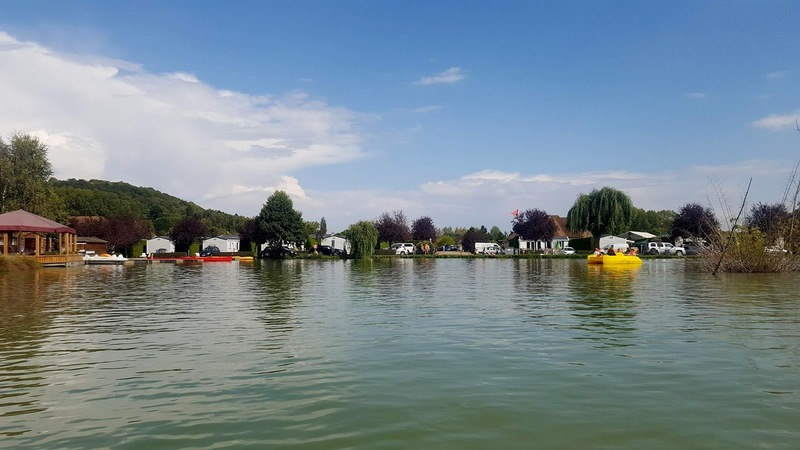 Disclaimer: We were provided with a discounted media rate for our accommodation for the purpose of providing an honest and impartial review of the Al Fresco experience and the La Croix du Vieux Pont Campsite. All opinions and photographs are my own, unless otherwise stated. This post contains affiliate links. How I Prepare for Back to School!